En tyrkisk nationalist viser hvorfor USAs politik i Nordsyrien er dødsdømt. Kun Assad kan holde Tyrkiet fra at angribe kurderne. Og ham vil de ikke lege med. Seven countries will deploy troops to east of the Euphrates… Turkey will be sieged once more after a century… The situation is urgent, dire. The Syria intervention must be made immediately, or it won’t be possible ever again! Underestimating the systematically-built "Turkey front" threat spanning the Iranian border and the Mediterranean, keeping it out of sight, neutralizing Turkey in the fight against this threat will lead to severe consequences for us. The "corridor" project, whose Mediterranean gate was closed with the Euphrates Shield and Afrin operations is still there as is. The east gate, that entire zone is under the invasion of terrorist organizations and non-regional forces. Their intention is obvious - their target is, beyond dispute, Turkey. The defense of the country, guaranteeing its future in the current conjuncture lies in the elimination of this zone. This is the real matter of existence. Europæiske sanktioner mod Syrien kan være til skade for EU. Med risiko for at styrke den syriske regerings position i Syrien. Hillary Clinton vidste i feb. 2012 at Al Qaeda var på USAs side. See last item - AQ is on our side in Syria. Otherwise, things have basically turned out as expected. Interessant. Især at hans twitterkonto nu har begrænset adgang. IS er tilbage med guerillakrig. Ikke det store problem hvis de lokale regeringstropper kan kæmpe. Den store forskel i Irak er de frivillige shiamilitser med iransk støtte som i 100.000-vis kæmpede mod IS da det så sortest ud. En endelig udminering af IS vil kræve at de politisk sager der styrker IS adresseres af de nye shiitiske herrer i Irak. ...The U.S. does not want to watch as these ISIS fighters permeate Europe, which is where they are expected to go. We do so much, and spend so much - Time for others to step up and do the job that they are so capable of doing. We are pulling back after 100% Caliphate victory! Sidst redigeret af Vymer : 17th February 2019 kl. 04:30 PM. Fransk kommentar på den amerikanske måde at føre krig på. The coalition could have got rid of just 2,000 militant fighters – who lacked air support or modern technological equipment – much more quickly and effectively by sending in just 1,000 troops, Legrier argued. “This refusal raises a question: why have an army that we don’t dare use?” he said. Human rights groups have repeatedly criticised the US-led bombing campaign, which has resulted in the deaths of scores of civilians over the past six months; to date, some 700 civilians – over 250 of whom were children – have been killed, according to the Syrian Observatory for Human Rights. Thousands of civilians have fled the area, with the Al-Houl refugee camp in north-eastern Syria currently hosting over 39,000 people, mainly women and children. In October, some 54 people – including 12 children – were killed in a single strike on a mosque in the town of Al-Susah, near the Iraqi border. The US alleged that the mosque was being used as a base by Daesh operatives; some 22 militants were also killed in the blast. Despite being hit during the weekly Friday congregational prayer, a popular time for civilians, the military claimed it targeted the mosque when only fighters were present. Den sidste rest af det officielle IS's fald. De er nu tilbage til guerillakrig. I Irak ser yazidierne ud til at blive kandidater for udvandring. Så meget for Vestens "oprørthed". Sidst redigeret af Vymer : 26th February 2019 kl. 07:26 AM. 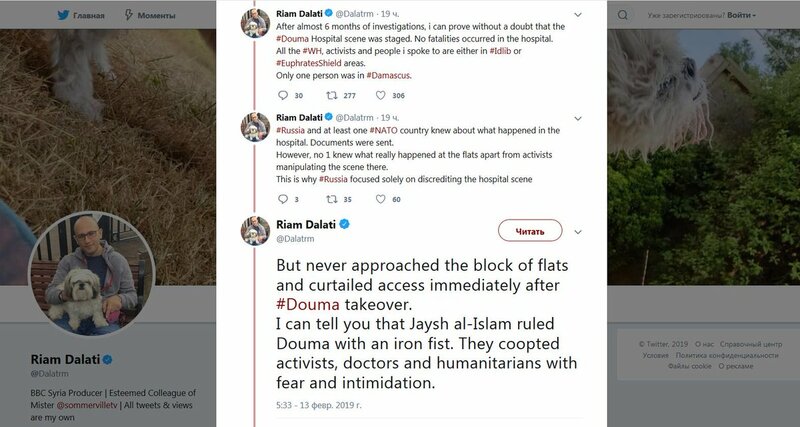 Al Qaeda i Syriens Idlib provins henretter IS medlemmer pga et angreb. Tyrkerne ser gennem fingrene med flygtende IS medlemmer. Turkey has long been under fire for turning a blind eye to IS at its borders, failing to enforce enough measures and failing to properly prosecute IS members, letting many suspects walk free. Turkish officials respond angrily to such criticism. According to the government, no country can match Turkey’s efforts to combat the radical group. After the 2012-2015 period, when Turkish borders were highly porous due to what amounted to a “free passage” policy, security operations targeting IS have notably increased in Turkey in recent years. According to official news agency Anatolia, 3,038 suspects were rounded up in operations against IS last year, with 408 of them sent to prison pending trial. The operations continued into February. Four IS suspects were caught Feb. 2 in the town of Akcakale at the Syrian border. Two days later, 24 suspects were rounded up in Istanbul and neighboring Kocaeli, with 11 of them released pending trial. On Feb. 6, three detainees suspected of links to IS — two Iraqis and a Syrian — were released in the northern city of Samsun. On Feb. 14, 52 Syrians were detained in operations in Bursa, northwestern Turkey, with no further information on how many of them were charged. Five days later, nine out of 12 people wanted on suspicion of IS membership were apprehended in the central province of Konya. On Feb. 17, security forces in Bursa arrested two foreign women wanted by Interpol for links to IS. On Feb. 21, eight IS suspects — seven Iraqis and a Jordanian — were detained and then released in Samsun. In another operation in Bursa on Feb. 27, police captured a Syrian suspect described as an IS “emir” who coordinated IS militants in Aleppo and Deir ez-Zor. Meanwhile, several major trials are underway, including the trial of eight suspects connected to a senior IS logistics operative in Kayseri. Detailing Ankara’s anti-terror tally in late December, Interior Minister Suleyman Soylu said that 69,967 individuals from 151 countries had been banned from entering Turkey and 7,031 people of 100 nationalities had been extradited for being “foreign terrorist fighters.” In 2017 and 2018, Turkish security forces foiled 697 and 347 terrorist attacks respectively, Soylu said. Many observers, however, see Turkey’s efforts against IS as inadequate and not serious, given how Ankara waters the issue down by jumbling it together with other groups it considers to be terrorist organizations such as the Kurdistan Workers Party (PKK); the Syrian Kurdish Democratic Union Party (PYD) and its armed wing, the People’s Protection Units (YPG); and Islamic preacher Fethullah Gulen and his followers, all of whom stand accused of orchestrating the 2016 coup attempt. Most of the questioning stems from a widespread impression that IS suspects are easily released. It is a widely held conviction that IS members enjoy lenient treatment in Turkey, not to be found anywhere else in the world. In some trials over IS attacks in the country, the courts have contended with questioning suspects via video links without bringing them into the courtroom, fueling doubts on how serious the trials are. "Lille Gaddafi" aka General Hafter er på vej mod at sikre sig dominans i libysk politik. Er en ny livstidspræsident ved at blive født? Et glimrende eksempel på at retfærdighed er noget man fortæller børn og jurastuderende findes. I den virkelige verden slipper dem med magten for straf. Ellers var der en hel del vestlige politikere som var henrettet på dette tidspunkt. Man vidste at Irak vil gå op i sekterisk vold ved et regimeskifte, men man gjorde det på trods. Al tidssætning er GMT +1. Klokken er nu 03:43 AM.